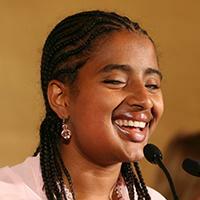 Ms. Yetnebersh Nigussie is Senior Inclusion Advisor for Light for the World. She previously served as the Executive Director of the Ethiopian Center for Disability and Development (ECDD). A lawyer and disability rights activist in Ethiopia, she served for the Anti-AIDS movement and received a number of national and international awards, such as the AMANITARE award which she received in 2003 in South Africa for her strong advocacy work for girls’ education. Ms. Yetnebersh has served in more than 20 organisations voluntarily, including chairing the Ethiopian National Association of the Blind Women’s Wing for 4 years (2003-2007). She founded a local organisation, the ECDD, along with other prominent Ethiopians to promote the inclusion of persons with disabilities in different development programmes, including economic empowerment. She also represents the NGO confederation, Light for the World, as a member of their International Board of Ambassadors.